Are Illegal Immigrants Entitled to a Minimum Wage? Are Illegal Immigrants Taking American Jobs? Are You An Illegal Immigrant? · Illegally Entering the United States: referred to as “Border Crossing Card Violator” these individuals enter the United States migrate via illegal entry. A common method of border crossing is to hire professional organizations who smuggle illegal immigrants across the United States’ borders. The Mexican/American border is the most common access point for illegal immigration. This method of illegal entry accounts for roughly 6.5 million illegal immigrant statuses in the United States. · Overstaying your Visa: The individual entered the United States in a legal fashion (obtained a Visa) but stayed beyond the allotted time period in the nation or violated the terms of legal entry. Roughly 5 million migrants entered America with a legal visa; tourists and students are the most common groups to secure visas before travelling to the United States. Their status of a legal migrant changes to “visa overstay” once the individual remains in the United States after their authorized time of admission has expired. 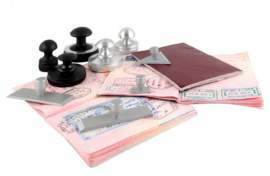 The time allotted by a visa will vary based on the visa class the individual secured. The majority of these illegal immigrants enter the country with tourist or business visas. · Border Crossing Card Violations: This method accounts for a smaller number of illegal immigrants. The Border Crossing Card is a form of identification that enables an individual to cross into the United States for a limited amount of time. These entry accounts for the majority of registered non0immigrant entry into America. An immigrant may be classified as illegal for the following three reasons: the individual enters without inspection or authorization, the individual stays beyond an authorized period following legal entry, or the individual violates the terms of legal entry. 3. Any individual who attempts to enter the United States by providing a false or misleading representation of oneself or through a willful concealment of fact. For instance, if you provide a false passport, driver’s license or pretend to be anyone else, you will be charged with attempting to enter the United States in an illegal fashion. The maximum prison sentence for an individual caught in the act of violating immigration policy is 6 months for the first offense and additional 2 years for any subsequent offense. How does the United States Enforce Illegal Immigration Laws? Protection at the Border: The United States Customs and Border Protection agency is responsible for arresting individuals who attempt to illegally enter the United States. 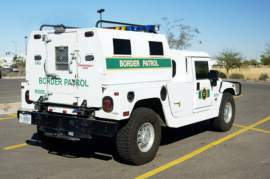 The United States Border Patrol is a uniformed law enforcement agency that is responsible for deterring, detecting and subsequently apprehending those individuals who enter the United States in an illegal fashion—without permission from the government and outside the designated points of entry. Workplace Investigations: The United States government conducts audits on employment records (the Immigration and Customs Enforcement Agency initiates the audits) to reveal any discrepancies with regards to identification records and the documentation itself. Workplace audits may result in deportation if absolute evidence of illegal immigration is uncovered. Immigration authorities, during workplace investigation, will alert employers of mismatches between an employees’ Social Security card and the actual identification information of the card holder. In addition to employment records, an immigrant’s visa is perpetually updated and observed by the United States government. Simply put, the government will know, through your employer, as to when your visa expires. What is the Punishment Associated with Illegal Immigration? Individuals who are caught illegally immigrating will face detention, imprisonment or deportation. The United States, per year, holds roughly 300,000 illegal immigrants in immigration detention centers. An illegal immigrant’s deportation is determined in administrative or removal proceedings, held by the government in accordance with United States immigration law. A removal proceeding is typically conducted in an Immigration Court and held by an immigration judge. If the individual is found guilty of illegally immigrating, he/she may be sent back to their home country and barred from re-entry to the United States. Complications in deportation will arise when the parents are deemed illegal immigrants, but their children were born in America. There are several ways to become a legal resident of the United States. The exact procedure to obtain legalization will depend on your location, your background and your residency status. In most cases, before you can obtain a Green Card (permanent residence) you must obtain a legal status. If you are residing--because of illegal crossing or an expired visa--in the United States as an illegal immigrant, you must obtain legalization thru your family (if permanent residents or American citizens), your place of employment, the United States military, thru marriage or from an educational endeavor. This will enable you to maintain residence in the United States for a certain period of time. It is crucial to understand that all visas have expiration dates—Green Cards and Citizenship are permanent, not Visas. Before your expiration date, you must secure a Green Card through marriage, the military or a family member, employment or business. To acquire legalization you must engage in or be categorized as one of the following: a family-based immigrant, a member of the United States Armed Forces, a worker or student with exceptional skills, an employment-based worker, or an asylum seeker/refugee. The visas associated with these categories are all temporary; however, they will enable you to live in the country legally and apply for permanent residency in the future. · Any immediate relatives of American citizens, including spouses, unmarried children under the age of 21, and parents of American citizen petitioners 21 years or older. · A family member of an American citizen who fits into a preference category, including unmarried children over the age of 21, brothers and sisters of an American citizen petitioner over 21 and married children of any age. · Members of special categories, including battered children or spouses, individuals born to foreign diplomats in the United States, a widower of a United States’ citizen or a K non-immigrant. To promote family unity, United States immigration law enables citizens to petition for qualified relatives to live permanently in America. As stated above, eligible relatives include, spouses, unmarried children under the age of 21 and parents of the U.S. citizen if over 21. These individuals possess special immigration priority; they do not have to wait in line for a visa to immigrate because the government offers a chance to immediate family members of citizens or green card holders to reunite the family. Being an immediate relative of a US citizen allows you to apply for residency through the filing of Form I-485 (Application to Adjust Status or Register Permanent Residence). While filling this form out your American citizen petitioner must file Form I-130 (Petition for Alien Relative). When filing Form I-130, your petitioner must provide proof of status to demonstrate permanent residency and must submit evidence to qualify your relationship. 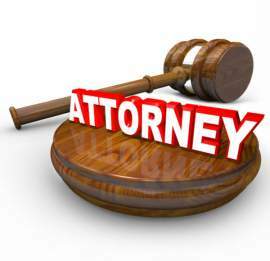 Permitted evidence includes: a birth certificate, divorce decree or marriage certificate. 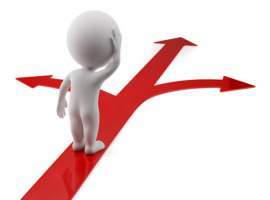 · Fourth Preferences: Sisters and brothers of adult American citizens. A visa will become available to the above preference categories depending on their priority dates (the date the I-130 form was filed). If you are living outside of the United States and are an immediate relative of a U.S. citizen you can apply for permanent residency by engaging in consular processing. This procedure connects the USCIS with your Department of State to issue a permanent visa assuming the approval of Form I-130. · You met each other in person at least once within 2 years of filing the petition. Every year, thousands of people are legalized through an employment opportunity. The approval for a work visa will require certification from the United States Department Labor. The United States Government, before issuing the visa, will investigate the need for the specific job. The Government must see a lack of U.S. workers who are able, qualified, willing or available to satisfy the job requirements in that particular area. The Government will ensure that no American workers are displaced through the issuance of the visa. A visa will also be given for employment if you are considered a “highly skilled worker” or in possession of extraordinary abilities in a specific field. These workers are typically sought-after by the United States government. For instance, in 2002, a number of computer technicians and programmers were awarded a work visa. The majority of employment categories will require your employer to obtain a labor certification then subsequently file Form I-140, (The Immigrant Petition for Alien Worker) for you. Green Cards may also be offered to entrepreneurs/investors who are seeking to make a substantial investment in an entity or enterprise that creates new jobs. · You must be enrolled in an educational program, a vocational program or a language-training program. · Your academic institution must be approved by the USCIS. · You must be enrolled as a student (full-time) at the academic institution. · You must maintain a home abroad that you have no intention to give up. The F-1 Student Visa enables you to enter America as a full-time student at an accredited university, college, academic high school, elementary school or language training program. You must be enrolled in a course of study that culminates in a degree or certificate. Your school must also be authorized by the United States Federal Government to accept international students. The M-1 Student Visa is for vocational students or students of non-academic programs (other than language courses). 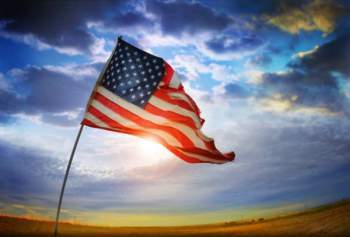 Members and certain veterans of the United States armed forces may be eligible for citizenship through their military service. Qualifying military service refers to participation in the United States Army, Air Force, Navy, Marine Corps, Coast Guard and certain branches of the National Guard. · Have resided in the United States, continuously, for at least give years and have been physically present in the country for at least 30 months out of the 5 years preceding the application. · Have a basic knowledge of United States’ government and history. If you were admitted to the United States as a qualifying member of an asylee or as a refugee, you may apply for permanent residence 1 year after your entry into America. If you were granted asylum in America, you may apply for permanent residency 1 year after you secured your status. To apply for a Green Card you must file the Form I-485 (Application to Register Permanent Residence or Adjust Status). If your asylum status is granted, you should file, in addition to Form I-485, a completed Form I-693 (Report of Medical Exam and Vaccination Record), a completed Form I-602 (Application by Refugee for Waiver of Grounds of Excludability), a copy of your I-94 Card, a completed Form G-325A, two passport-style photos and certified copies of court records if you were ever arrested. Form I-485 is also required if you are applying for a Green Card through Refugee status. In addition to Form I-485, you should enclose with your application two photos, Form G-28, Form G-325A, Form I-693 (only needed if there were medical grounds of inadmissibility at the time you arrived in America). What Happens After I Acquire Legalization? · After you acquire legalization you must obtain permanent residency (a green card) to live in the United States. All visas have expiration dates—if you stay in the United States past your expiration date your status will become illegal. Once you stay in the United States for at least five years as a permanent reesident, demonstrate proficiency for English and knowledge for United States’ history and government, you may obtain citizenship. The primary motives for immigrants to acquire citizenship is to vote in public elections and assist their relatives immigrate to America. What are my Rights and Responsibilities as a Legal Immigrant? · You have the right to work in the Unites States at any place of your choosing. · You have the right to be protected by all American laws, including those found at the federal, state and jurisdictional. · You must obey all laws of the United States, including all federal, state and jurisdictional.